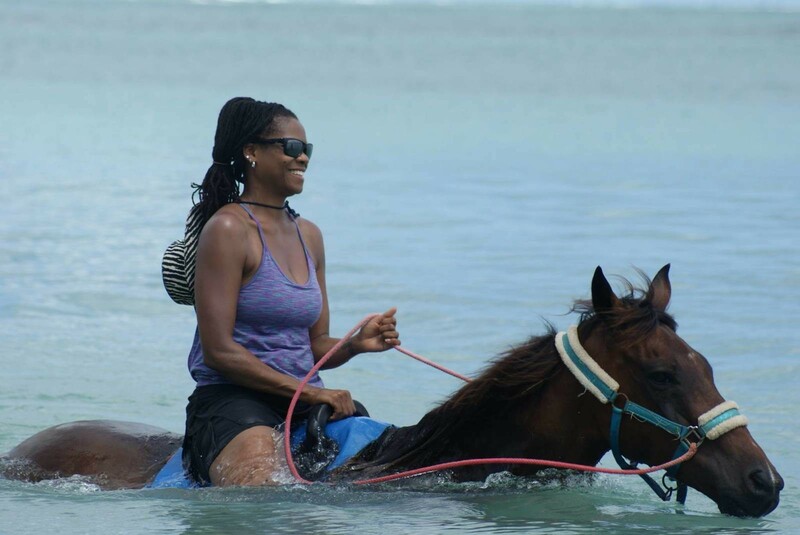 Take a ride on horseback through the village of Buccoo, along the wetland and mangroves, then a long beach ride, followed by a ‘swimming’ along the Bay. 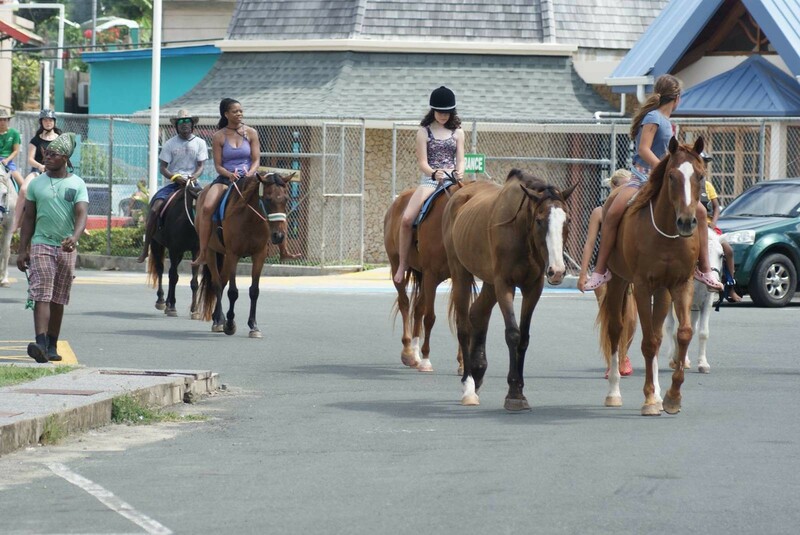 The tour first begins with an introduction to the Horses. 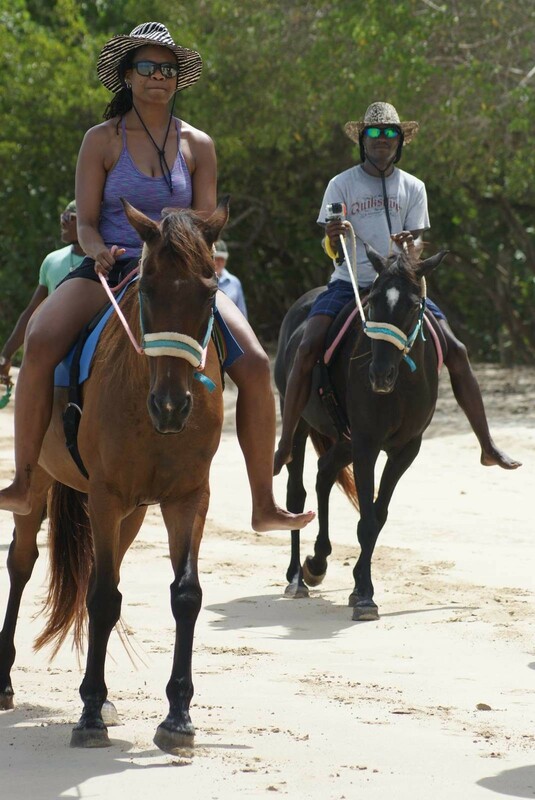 Participants are educated about each horse – their personality, character, age and where each horse came from. This is followed by instructions on the importance of Body language – which the horses respond to – how to interact with them in a gentle & easy way. 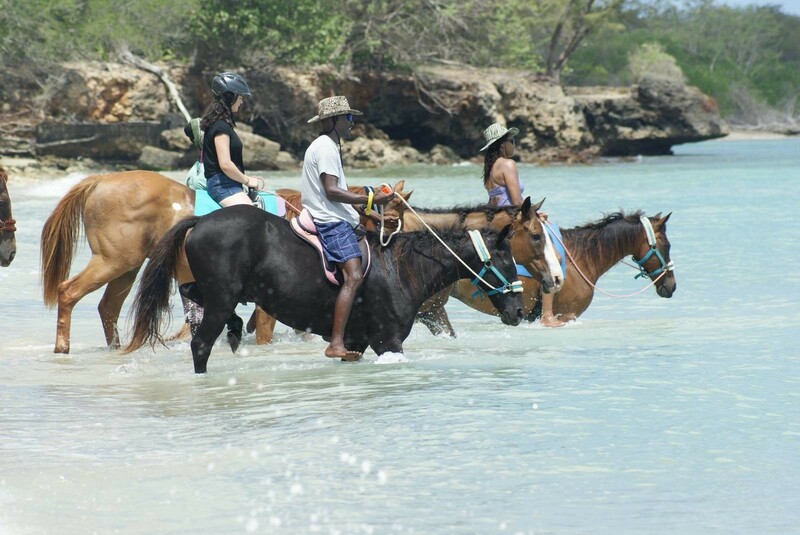 We start with a tour with a ride on horseback through the tranquil Buccoo village, where you will pass the famous Goat Racing track and the various quaint houses. 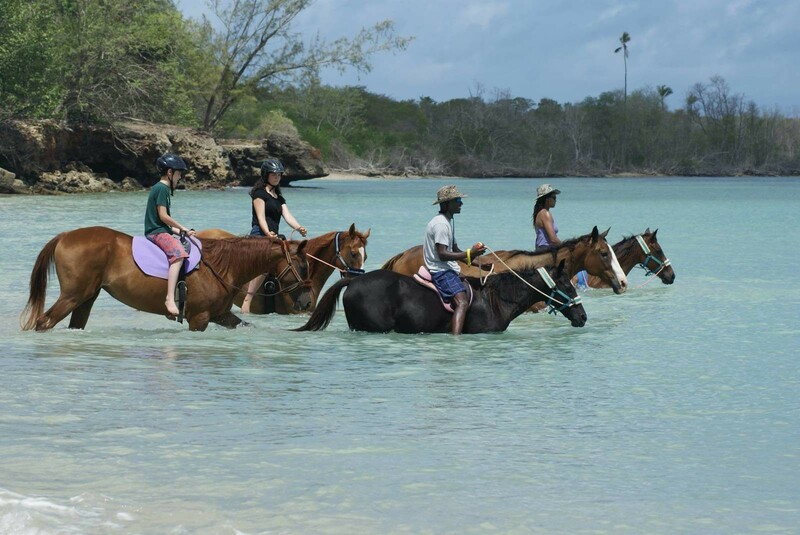 Your ride continues along a natural wetland filled with mangroves which borders Buccoo Bay and where you will experience nature at its finest. Yes into to the pristine sea water! This is the most exhilarating portion of the tour. 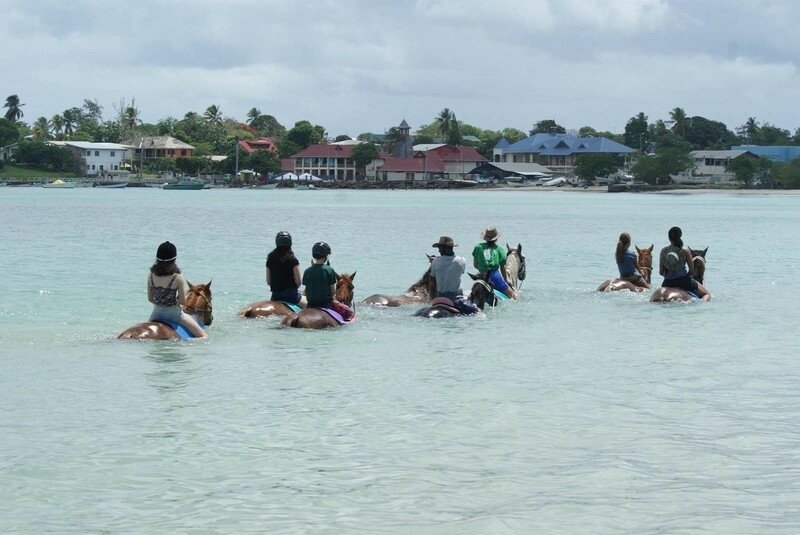 While still on horseback you are guided into the clear water to ‘swim’ with the horses as they wade in water up to their backs. 100% refund if you cancel at least 48 hours in advance of the start date of the experience.